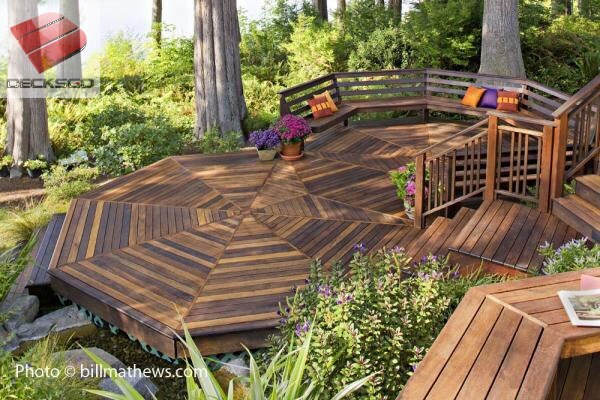 Look at this amazing octagonal redwood deck. Attention to detail was paid for this deck. It fits perfectly into this backyard.